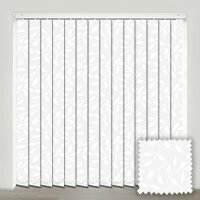 If you want more than a simple block colour on your window furnishings, or you want them to form a focal point in your room’s décor, our luxurious range of made to measure multi coloured vertical blinds is the ideal solution. Choose from a variety of intricate or simple patterns and colouration's or go for something a little more colourful and bold to create the perfect look for your home. Great blinds. So nice not to have to spend ages on floor measuring and cutting to size, your made to measure ones are so much easier. Blind fits bathroom perfectly. Will order more for other rooms presently. 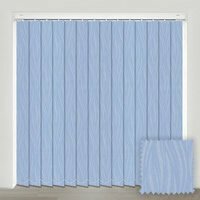 The service from English Blinds has been very good - blind is perfect and was dispatched quickly. We are so impressed with the service. The blinds are good quality and easy to fit. 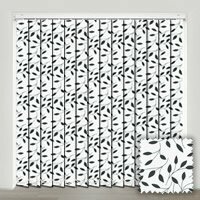 This is the second blind we have bought as we were so impressed with the first and will in future buy all our blinds from here. Love the wide range of designs available. The goods supplied are excellent, no faults with their service either. 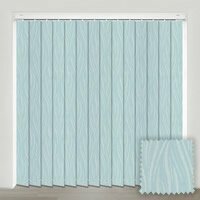 Beautiful blinds, just as advertised, and amazingly quick delivery! Order process was easy to follow and asked all the right questions to ensure perfectly fitting blinds. Would definitely recommend this company.